The Master and his Emissary is a deeply satisfying book. 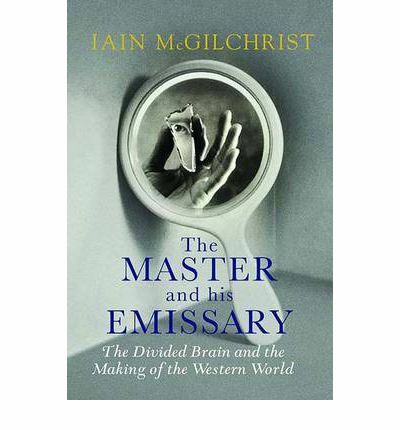 It is the first and only book written from a predominantly neuropsychological viewpoint about which I do not have major reservations: his position is not tainted by even the faintest trace of simplistic reductionism. It engages at a profound level with the problems of the modern age. It describes how the pressures of the modern world in the west tend to push all of us nearer to psychosis and delusion than we would otherwise be. It gives a perspective on the Bahá’í principle of unity and its relationship with diversity that I feel is immensely helpful. It also casts an important light on how difficult it is to work both systematically and with a sense of the organic, to be both efficient and loving – something of great concern to the Bahá’í enterprise. For a full review see link.